Tomorrow a bill will be introduced into the NC House that allows the use of terminal groins to protect private property along the coast, overturning the 1979 ban on hardened structures along the coast. Although NC would join all of the other eastern seaboard states in allowing such protections, the bill, if passed, would also end a long history of attempting to maintain a natural coastline. This natural coastline is why the Outer Banks have become such a popular tourist destination, bringing millions into the state economy each year. So why might North Carolina leaders turn their back on historical decisions? This year’s General Assembly is under a new majority – for the first time since 1898, led by Republicans. Rising populations along the coast are using this as an opportunity to demand more permanent solutions to shoreline erosion. 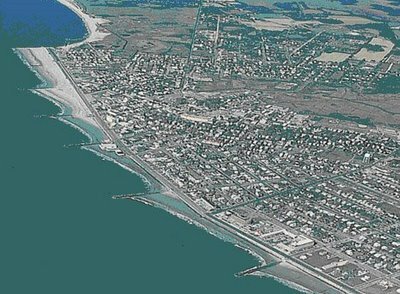 Previous strategies of beach restoration, inlet channel realignment, and sandbagging are no longer adequate to coastal property owners. However, though terminal groins may seem like an easy solution, they are not as simple as they seem at first glance. It’s these nuances that make them a really bad idea, both for maritime ecology we’ve worked so hard to protect and for the wallets of North Carolinian taxpayers. Shoreline hardening drastically changes natural sediment dynamics of the coast, where beaches upstream of the groin or rock jetty collect sediment and beaches downstream are deprived of their natural sediment sources, therefore shrinking. In short, the hardened structures don’t prevent erosion, just shift where it occurs. Therefore, groin and jetty programs are usually paired with beach renourishment in order to hold the sediment in one place as best they can. Renourishment adds another whole host of environmental issues to the table, including resuspending toxins in offshore sediments, disturbing bottom habitat, and disrupting nesting beaches for shorebirds and sea turtles. According to the state’s Coastal Resource Commission study on terminal groins, renourishment and dune formation associated with groin building prevents overwash and natural inlet dynamics from occurring, decreasing natural habitat on the island for many species including the endangered piping plover and sea turtle species that nest there. This study also describes a general shift from our current sandy, benthic ecological community to a rocky one that North Carolina doesn’t normally have. 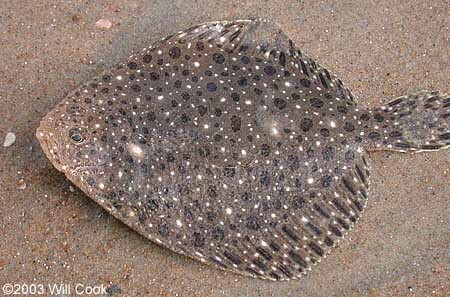 If you think you won’t miss the sand and the diving on rocky bottoms might be better, try forgoing flounder, croaker, spot, shrimp, clams, blue crabs, and other local species that require inshore sandy or grassy bottoms for nursery habitat. Due to the direct conflict of terminal groins with the state’s commitment to the Coastal Habitat Protection Plan, the CRC concluded that terminal groins are a bad idea. They went on to say that the fact that not all properties would be protected further supported their conclusion that terminal groins are not the way to go. Finally, even ignoring environmental concerns, terminal groins represent a huge tax burden to North Carolinians that outweighs the tax benefits of large coastal properties. At current real estate tax rates, the costs of installing and maintaining terminal groins over 30 years is 4 times higher than revenues from threatened coastal properties. Combining projections of costs, tax revenues, changing property values, etc, the overall costs are expected to be 10 times higher than benefits over 30 years. Such an analysis begs the question of how the General Assembly could justify such a bill at a time when it is supposed to be cutting costs. Judging from the comments on the recent article in the Tideland News about the issue, residents know more than they’re given credit for about the issue and the groins are seen as yet another way to benefit the few at a cost to the many. Many of our public beaches don’t need hardening because no one lives there – so why do private beaches need protecting? Want to get involved? Inlet Solutions and NC Coastal Federation have loads more information. Take a minute to call your house representatives and tell them you don’t want terminal groins in your state (find your rep here)! I have been the key researcher for the t-groins on Upham Beach St Pete Beach, FL. We did a scientific review of the experimental monitoring reports – science failed to prove anything. And project inception included continued re-nourishment. If groins are placed on a feeder beach or one that needs to be fed – they are not the end-all-be-all solution. They only keep the money following from local governments to the companies from taxpayers dollars. Contact me if you want more info. Thank you Senate Harry Brown for seeing the wisdom and supporting terminal groins. They are NOT supporting groin fields, seawalls or jetties. They are talking about A TERMINAL GROIN on the edge of an inlet that will keep the sand out of our marsh and channels. I do not own ocean front property but fully support the things we can do to keep our channels open and navigable and help enhance our fisheries through better flushing action of a marsh ecosystems. Florida clearly has used terminal groins very effectively without problems. Think smart NC, support terminal groins on our inlets. I feel I must correct some of what you’ve said about terminal groins here in NC – first, the bill permits experimental terminal groins and jetties, opening the door to all types of hardened structures under the veil of science. Second, the bill has been supported by coastal landowners who are interested in putting in private shoreline hardening to protect their investments; the support is not because the state needs help protecting its navigable channels. Third, they do not support fisheries, especially in sandy habitats; instead they disrupt existing habitat that depends on natural sand dynamics. Ok, I will respond. First, you are wrong. There is no reference to “experimental”. TG’s are proven successful. Ask Florida, ask the superintendent of Ft. Macon State Park if he/she thinks it is a good idea to remove the one at Ft. Macon. This bill does not open the door to anything except terminal groin. Please read the bill. It clearly states that seawalls are not permitted and jetties are already allowed at any federally authorized channels. Jetties do the thing you say and are allowed today already. Terminal groins do not. Second, yes homeowners want them. I am not a beachfront owner and I want them. I do not like sandbag seawalls and homes standing out on the beach. Let’s take steps to fix the problem. Then we, humans, can enjoy the beach and the habitat for the turtles and birds will be restored. And third, TG’s do not have a negative impact on fisheries at all. They do not disrupt sand bypassing. They do however, as a secondary benefit enhance navigation by reducing the sand that enters our channels and fill our marshes in. Please understand what and how a terminal groin at a inlet functions. Not a groin field, not a seawall and certainly not a jetty. I have never heard anyone that supports SB-110 ever indicate they would support anything but a terminal groin. I see multiple benefits of terminal groins. Thanks for the dialogue….done..
Respectfully, a dialogue cannot just be declared finished. And I think that’s representative of this discussion – on a very contentious issue of which both sides have some legitimate points. Final decisions on groins will come down to a value judgment at a legislative level, and that’s fine. But the biology and the physics of groins in NC are still far from understood (check out the CRC report) and I think my main point was that the economics very clearly put the state further in the red at a time we’re considering firing teachers. Finally, I’m not wrong. There are terminal groins that have served us well (Ft. Macon and Oregon Inlet), but they are still an expensive, relatively temporary solution to maintaining navigable inlets. I’m not advocating removing those (an no one else is), but questioning the addition of new ones along a natural coastline, where, in fact, it is well-known that sand dynamics would be altered. I am on the staff of the Nighthawk News at First Flight High School. I am doing a story on the same topic and would love to get an interview with you. Please reply if that would be possible. From the review by the NC coastal scientists. 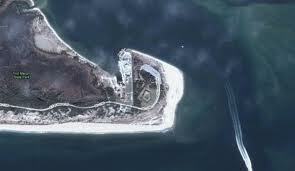 Note: Florida has suffered high rates of beach erosion down drift of terminal groins. There’s no such thing as a free lunch. With sea level rising because of global warming, groins are a money pit that will require ongoing beach nourishment by taking sand from offshore. Wealthy owners of beach homes are already being subsidized by tax dollars from the middle class when beach renourishment is done by the Army corps. Terminal groins area an additional tax on the middle class to subsidize the opulent lifestyles of a few very wealthy people.